See tabs below for information on each project. To align with the Town of Okotoks Environmental Master Plan objective of “encouraging local food production,” Council has approved the creation of a community garden on the south side of Okotoks. Kadey Park (9 Cimarron Grove Way - see image below) has been identified as a potential site for this project. The Town is seeking feedback at the above mentioned open house on if residents are supportive of a community garden being added to Kadey Park. A community garden typically consists of a fenced area containing garden plots that can be leased by individuals or families at a nominal fee for a season to grow vegetables for their personal consumption. Project updates will be available at www. 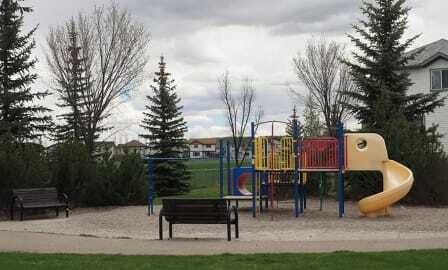 okotoks.ca/construction or by contacting Parks at 403-938-8958. 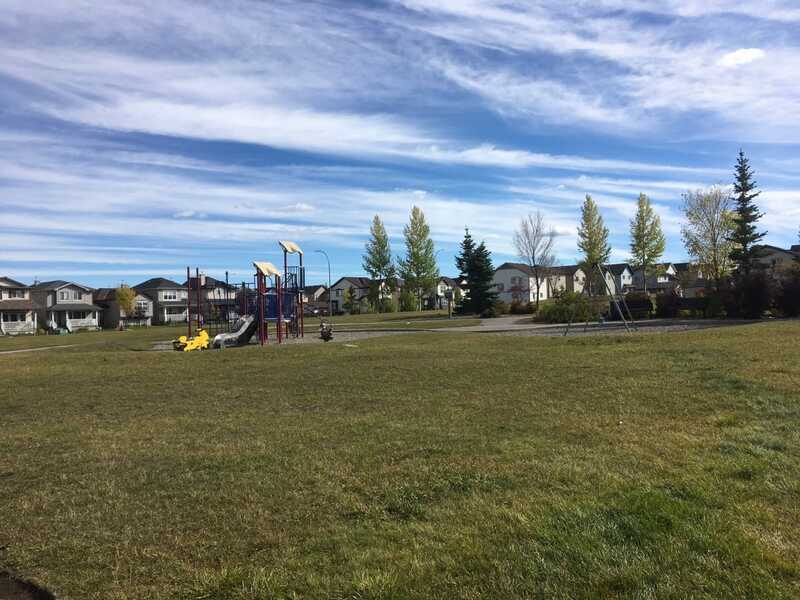 In keeping with the Town of Okotoks strategic direction to provide ‘Quality Infrastructure’ and a Healthy and Safe Community’, Tillotson Park (46 Cimarron Meadows Way - see image below) is scheduled to receive playground upgrades. The Town is seeking resident input on the type of components and the desired age range preference for the equipment at the above mentioned open house. Information gathered will be utilized to develop criteria for purchasing the new equipment. Once construction commences, for the safety of the children, the playground will remain closed until all components, including the safety surfacing are re-installed. Playground upgrades typically include the removal of the existing play equipment and replacement with new equipment that meets current CSA (Canadian Safety Association) safety standards. The safety surfacing (pea gravel) would also be replaced. The overall size and location of the playground is intended to remain the same; however, the footprint is very small at this site, and additional stand-alone play component(s) may be desirable elsewhere on site. Project updates will be available at www.okotoks.ca/construction or by contacting Parks at 403-938-8958.